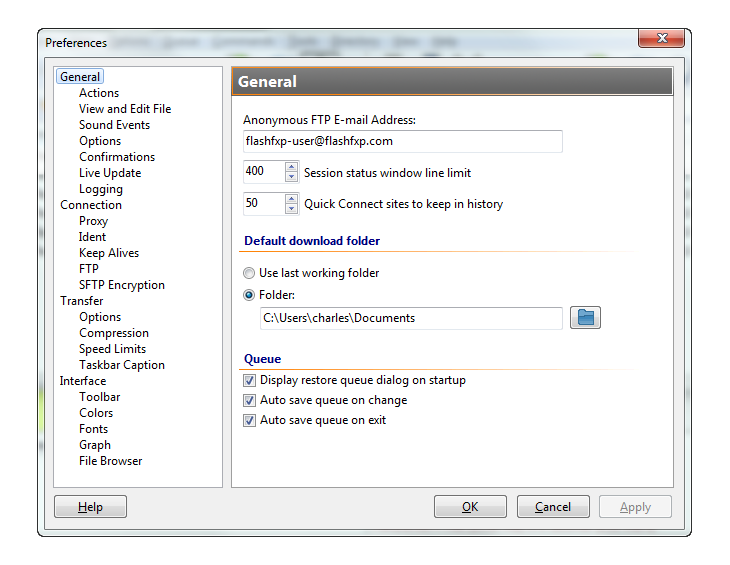 Through this tree, you can access the entire structure of the folders. 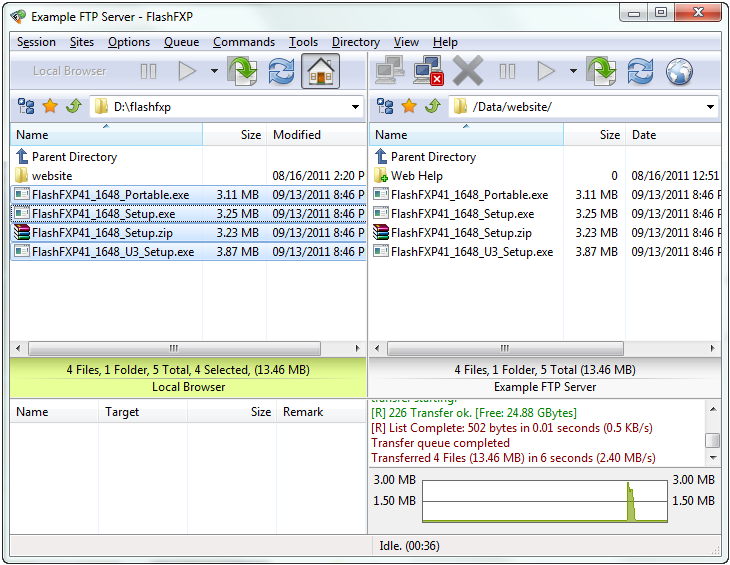 With this transfer graph, you can easily monitor your transfer speed. 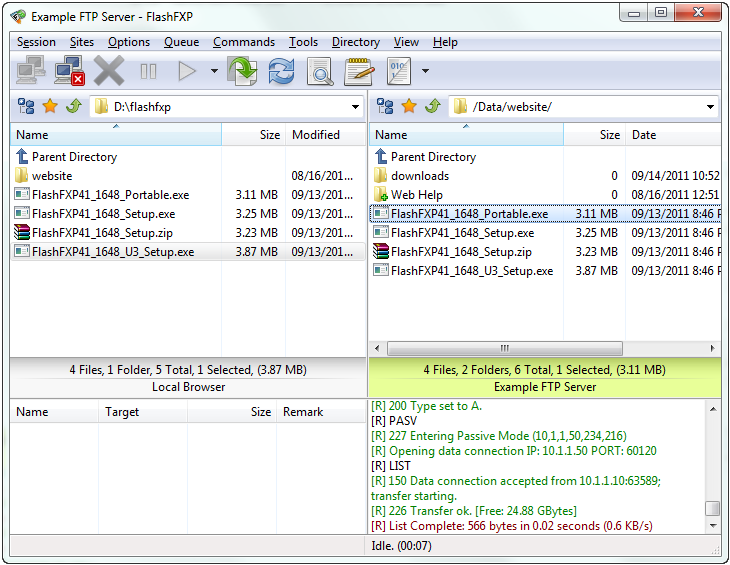 Prefer a single tool bar and a more simplified interface? No problem. 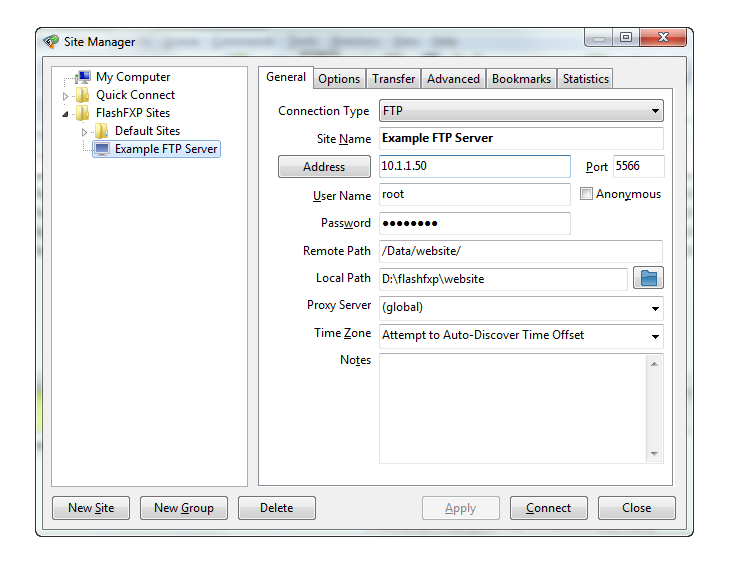 Manage and configure your site profiles. 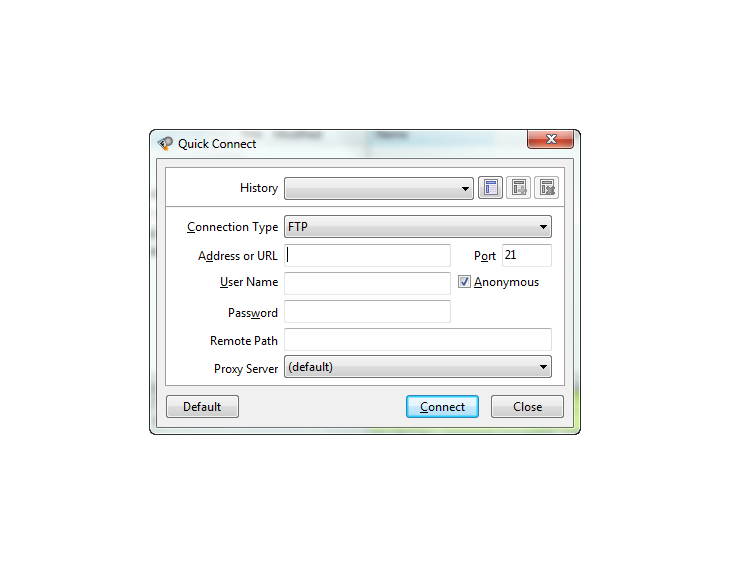 Simple connection dialog for connecting to temporary sites quickly. 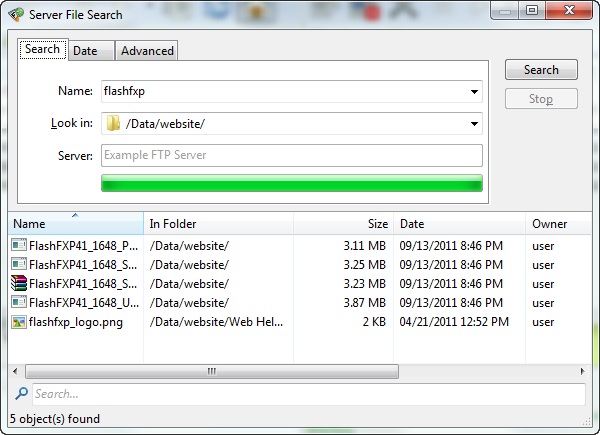 FlashFXP is loaded with many features and options, we make it simple and break them down into more manageable sections. 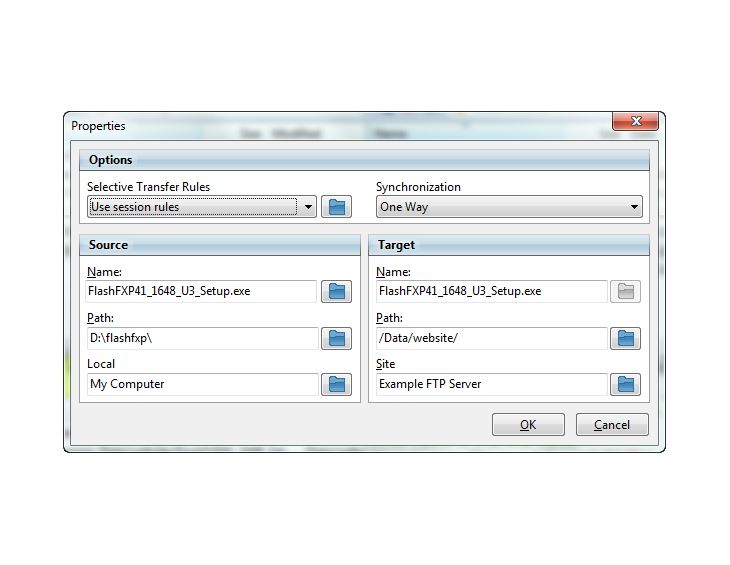 We make file transfers easy, Configure automatic rules to allow FlashFXP to handle specific situations automatically. 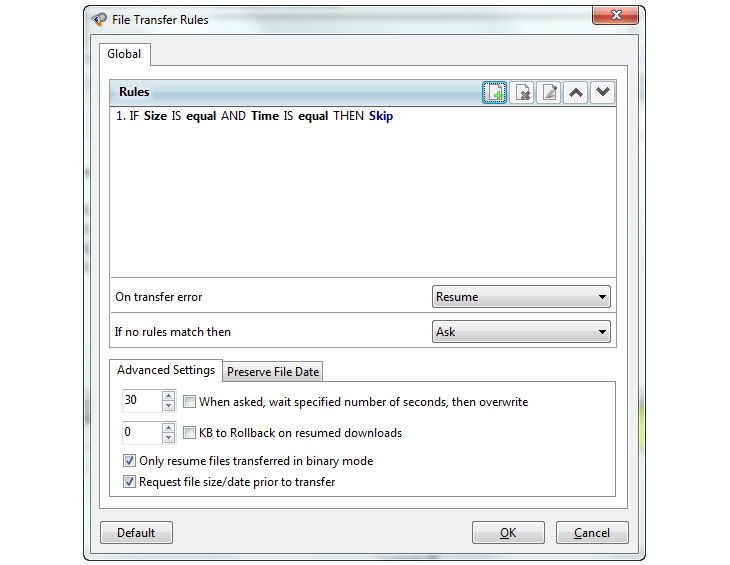 Advanced transfer features can be configured per-queue-item by editing the queue item, such as selective transfer rules and synchronization.